Hi Everyone! I once again get the joys of sharing a special time with my good Indie buddies as today is the official release for their anthology called “Once Upon a Twisted Tale”. So here they are once more to tell you about their brand new anthology out today! 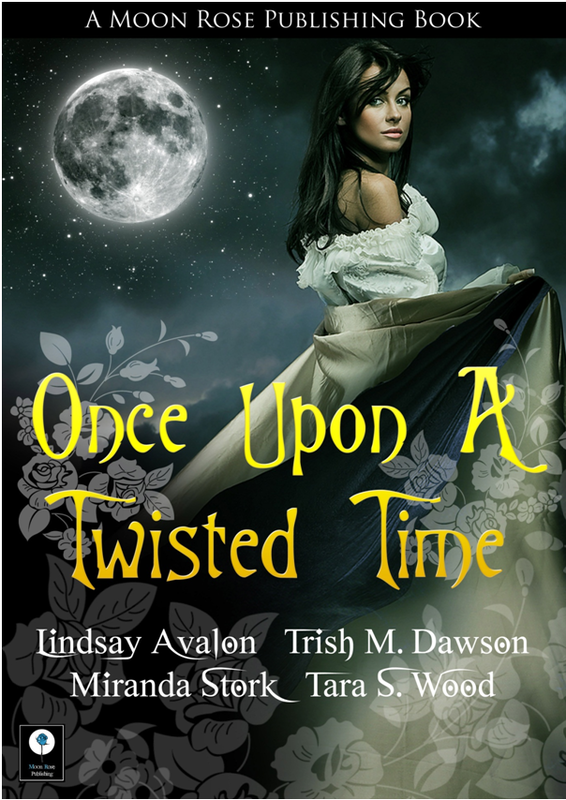 This is the official release day of Once Upon A Twisted Time, the first anthology from Moon Rose Publishing! A collection of dark adult fairytales, these stories will turn your idea of what a fairytale should be on its head! From Steampunk to Fantasy, there is something for everyone in this fantastic collection of four novellas. The novellas are based upon The Little Mermaid, Cinderella, Snow White, and Beauty and the Beast-see if you can work out which one is which! It is now available on the Moon Rose Publishing site, and from Amazon! Think you know your fairytales? Think again. These aren’t your normal happily-ever-after. Within these pages, a murderous Little Mermaid gets her revenge, the Cinderella doesn’t really want to wear the slipper, Snow White is up to her eyes in industrial experiments, and the Beauty is in fact the Beast. In a city toiling under the iron fist of the Spiegel Syndicate and its monopoly on coal, Miss Georgina “George” Cavendish is on the brink of a breakthrough that could change the world forever. There’s just one thing standing in her way, her aunt – Xenobia Cavendish. Threatened by her efforts, the Syndicate procures the services of a notorious assassin with a past tied to her own, known as The Huntsman, to dispatch the brilliant scientist. But once he gets a glimpse of the headstrong beauty, will he be able to do the job, or will Georgina sway him to The Cause? And will George find the breakthrough she needs in time, or is New London Town doomed to forever lie under the dark shadow of her aunt’s factories? Some curses last forever, and some can be broken with the whisper of three little words. Isabella Rose Woodward fell in love with a witch’s son over a century ago. Her punishment for breaking the young man’s heart was a beastly one. Every month she turns into a different creature, aging on the full moon when her curse allows for a brief return to her human form. Her only salvation is to find a man that will love her as she is…be it adorned in feathers, fur or scales. Has she found this love with the handsome Jasper Hawke? Or will a mysteriously determined Hunter find her first, and snuff out the life she so desperately seeks? A life of normalcy, where she loves and is loved in return… just as she is. Moon Rose Publishing, to celebrate its newest release, is also having a huge contest over on Facebook and their website! Exclusive Once Upon A Twisted Time glossy poster. And bookmark and postcard swag! You can enter by going to the link below, to the rafflecopter contest! Thank you so much ladies for allowing me to be a part of this special day and I wish you all the best! 🙂 And to everyone else! Go pick yourself up a copy! Hi Again! Its WIP Monday again! Here were speaking with the parents of the first teen. Let me know what you think! Stan looked over at Jane who gave him the go ahead to start with his questions. “That’s alright Mr. Chu. We will have someone look into that later. Just continue on with what you are saying for now. Let us worry about details like that later. Go on.” Jane said interrupting him in an effort not to let him get sidetracked. The man was obviously disturbed by the night’s events, and rightfully so. “We ate and returned home at about midnight. When we came in we called for Ms. Liu to bring us a night cap and when she didn’t respond to the call I went to try and find her. I thought maybe she had fallen asleep somewhere. “Does your daughter usually go out with her friends late at night? Maybe she decided to go over to one of her friends homes for the night?” Stan asked trying to make sense of what he was hearing. “Who? Who do you think would take her?” Stan asked surprised that he would be so ready to accept that his daughter had been kidnapped, and would be able to put the idea across so bluntly. “I understand completely Mr. Chu. And you can rest assured that we are going to do everything possible to find her and bring her home safe and sound to you and your wife.” Stan said looking over the petit Mrs. Chu. She was a slight woman maybe feet tall if that. It was hard to tell her height because she was sitting down. She had long straight black hair that fell just past her shoulders in layers. She was wore a traditional bright aqua blue dress with gold embroidery of dragons on it. She sat there and stared at her hands, not even looking up to show that she was listening to the conversation. “Do you have a picture of your daughter that we could have? A recent one if you have one. The most recent preferably.” Jane asked. “If you want to come with me Detective …Trinity is it?… and I will get you what you need.” The man rose up and motioned to Jane to follow him. Stan stood there for a moment before he sat down in the chair that Officer Demmin had vacated. When He sat there quietly as he watched her for a moment. Then he spoke softly. The woman sat there for a moment and Stan was just about to say something more, when she raised her head and looked into his eyes. Her eyes we red rimmed and puffy. It was obvious she had cried quite a bit while the detectives spoke. He could see oceans of pain in her eyes, but he saw something else there that shocked him. He also saw a well of strength that bore deep within her soul. It’s My Birthday! Presents for YOU! Normally I do not go around announcing when I get older but this year is a little bit different for me! This year I get to give you all a present! In celebration of my upcoming birthday I am giving all of you a present for being such wonderful fans! Today for one day only I am giving away the ebook edition of Sacrifice of Innocence! Whats the catch? There is none! I just wanted to do something a little different this year! So hop on over to Amazon and pick up your free copy today! Last Thursday I mentioned that I would be posting bits from Dragon Twins, the second book in my LCPD series. This weeks bit is where we meet the other teen in this book. Id love to hear your thoughts on this! A red sports car roared down the road towards the housing complex at the end of the dead end street. It was a quiet night except for the loud music that emanated from the car. It was a mixture of hip hop and classic rock. The car rocked and swayed as it went over the speed bumps that signaled the entrance to the complex. Julian didn’t know why but every time his best friend Larry-or Lawrence M. Wallace as he was known to his parents-went over those speed bumps he always felt a wave of nausea. He supposed that it was a form of sea sickness, but he couldn’t be sure as he never had been on a boat before. They pulled up in front of Julian’s house and sat there for a moment watching the peaceful street. It was almost twelve-thirty on a Friday night. The street was empty of cars and people alike. It was almost a picture perfect night. The moon shined brightly in the sky. “Hey man that was a great movie wasn’t it? I loved the special effects they used!” Larry sudden exclaimed snapped Julian out of his revere. “Yeah day dreams are nice aren’t they?” Larry said wistfully. Larry burst into howls of laughter as he hunched over the steering wheel. “Alright then. Later dude.” Julian said. He started up the walkway to his house. He watched from the front porch as his friend roared off down the road again. Shaking his head his pulled out his door keys and opened the door and let him self in. The house was dead quiet and blanketed in darkness. I put out an APB for some fresh victims to interview and this lovely lady volunteered her time! Please welcome Laura Hunsaker! 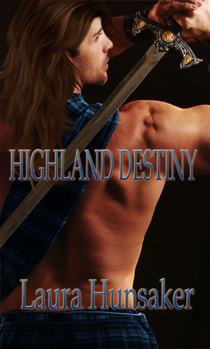 I am a writer who loves the idea of a hunky Highlander sweeping me off my feet. So I wrote about what I like. Luckily someone else liked it enough to publish it. I am both traditionally published and self-published. 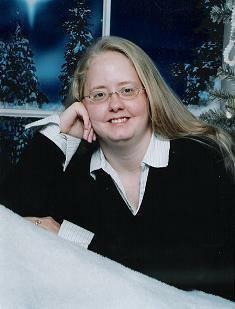 I am a member of Romance Writers of America® Cactus Rose Chapter. After earning my degrees in English and German, with a specialty in British Literature, I taught for a few years. As of now, I try to squeeze in time to write as often as I can, and I wrangle my kids the rest of the time. This Highland Hussy will keep writing about those hunky Highlanders as long as you guys keep reading. Well, I’m not gonna lie to you, I’d probably write them anyways, I mean who doesn’t love a hot Scot? I’ve been writing all my life, but I’ve only seriously been writing for the past four years or so. I started thinking about publishing my first book because I really had this awesome idea in my head, and I just knew that if I could get it down on the computer, if I could just make others see what I was seeing in my daydream, that everyone would love it. I think it was the best decision I’ve made in a long time. I think either Kresley Cole or Karen Marie Moning because they have such rich characters and world-building. I hope to rule the world! Oh, er, I mean, I’d love to hit the NYT Bestselling list, but even if I never do, I just hope to keep writing about those Hunky Highlanders I love so much. Both. I’ve been traditionally published for a couple years and just this month I released Highlander Reborn as my first self-published work. My Magic of the Highlands series will still be through my publisher, but this series called The Nightkind will be self-published as novellas. I think that the main reason I chose to self pub my Nightkind series is that I can control so much more of the process, and I can get the stories out sooner. That was a huge draw for me. I think I was fairly lucky as far as getting published. I didn’t get more than a handful of rejections and all were slightly helpful or personalized in a small way. I did get two Revise and Resubmits, but I was contracted with New Concepts Publishing by that point. Highland Destiny is a time travel romance where a modern-day girl, your average twenty-something woman is kidnapped through time. Not only does she have to deal with going back in time, but a girl who had nothing special about her in the 21st century, suddenly becomes Scotland’s Most Wanted in the 18th century. Highland Games is releasing December 21st. It’s another Scottish time travel set in the same world, and in this one, we meet surfer girl Piper and Hot Scot Malcolm who needs her, but won’t tell her why. 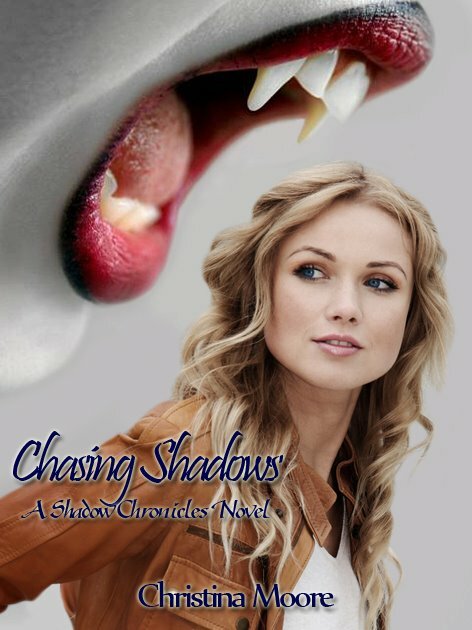 Will she choose to stay when she finds out? You should love Nevin, because it takes him 7 centuries to really understand what he’s become. He was turned into a demon, into what he hunted, and that nearly broke him, What made it worse, was that he lusted after the vampire who turned him. In fact the next story coming up is called Broken Highlander because it’s about the dark days after he was turned. Not one I’ve shared with anybody lol I do have certain songs I write to. Thank you so much for taking the time to show us the Highlands in your mind and good luck on your release in December! You can follow The Highland Hussy on her website and you can find her books at Amazon, Barnes & Noble, Fictionwise, Kobo and AllRomanceEbooks! Last week I had to honor of being a guest on Mia Marlowe’s Blog for a Red Pencil Thursday. If you are an author and havent swung by to check out her blog. Do so. Now. Because the advise that comes out of those blog posts are incredibly valuable. Not to mention the work she and her followers will put into your work in progress helps to get your mind working on what needs tightening up. Before she posts she will get your responses to her suggestions. It was a great experience. I enjoyed the experience so much that I have thought that I would share not only that snippet with you folks but also a few more over the next few weeks to get your input. So stay tuned every Monday for a new snippet of book two in the Stan Brookshire series–Dragon Twins!